The experience of a car lockout is definitely awful even if the circumstances don’t fill you with panic. Who wants to stare at their car keys through the vehicle’s window? Nobody. And that’s one fraction of the problems that might make you stand outside your car. A worst case scenario would include lost and stolen car keys. Or damaged keys. Or broken car keys and locks. In each and every case, our company will be your solution. You simply call us 24/7 and expect quick car lockout Aurora service. Wouldn’t you want fast assistance should you get yourself locked out of the car? 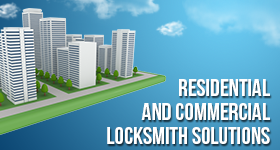 Contact Payless Locksmith Aurora. You will have the help of a qualified pro in a short while and won’t pay a fortune for the service either. That’s a win-win. On top of that, we can assist you night and day. So if you lose the keys or accidentally lock them in the car, remember that we’ll send you a locksmith right away irrespective of the day or hour. So call us and expect 24 hour car lockout service in the Aurora community of Ontario. What will the service include? Basically, the pro comes out to open locked car trunks or doors and thus retrieve the key that is locked inside the vehicle. But that’s only part of the story. After all, this is not the only reason for lockouts. Such incidents may also occur when keys are broken, stolen, and problematic. They happen when there is a problem with the transponder key or the door lock. 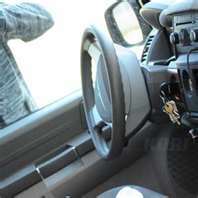 Trust that our company will send you a competent auto lock and key expert. The pro won’t only offer the required car opening service but will do anything needed to fix the problem. If the key is broken, it will be replaced. If this is a transponder key, it will be programmed too. With a vast experience in all car makes and years and the skills to tackle any car key and lock problem, the techs will address the concern and have you back driving in no time. So if you ever find yourself in need of Aurora car lockout service, don’t hesitate to contact us. We are here for you day and night.